This year, Frasca has queued up a variety of events to showcase its creative cuisine and share the restaurant’s ethos with the Boulder community. If it’s wine knowledge you seek, look no further than this Pearl Street mainstay. From Monday night wine dinners to Tuesday classes with Master Sommelier Bobby Stuckey, Frasca offers much more than award winning dishes. Check out its upcoming events below. Every Monday, Frasca invites a special guest to host a wine dinner. This event features the guest’s work – from authors to entrepreneurs to restaurant owners, invitees are varied and knowledgeable. Each dinner includes a 4-course meal and optional wine pairing. Check back throughout the year to see who’s visiting Frasca next. Littorai Wines was founded by famed American winemaker Ted Lemon and his wife, Heidi. Since 1993, Littorai has been making headlines and is still regarded as some of the best wines to come from California. Rachel Dixon of Littorai will pour and discuss a flight of Littorai wines on 1/28. These wines showcase the region and style of Ted Lemon and the terroir of California’s north coast. Once a month, Frasca hosts a two-night wine course that seeks to educate amateur wine enthusiasts on a certain region. The two-hour class includes a workbook and a flight of wine that highlights the flavor profiles of the region. Currently, classes are scheduled through April 2019. If you’re interested in Australian wines, farming practices, or the wine-making process, these lessons will enlighten and inspire, all while tasting 10 supreme examples of quality wine. If your New Year’s resolution is to broaden your horizons, explore something you’re passionate about, or learn a new subject, this is the perfect place to start. Bobby Stuckey shares his extensive wine knowledge with guests while exploring the Bordeaux region of France and its world-famous wines. Not only will participants learn about history, culture, and terroir of France’s southwest region, but they will also get the chance to taste some truly incredible wines. Space is limited to 16 guests, so be sure to reserve your seat here soon. The second class in Frasca’s Instituto series, this lesson will focus on winemaking. Bobby Stuckey will cover agricultural practices on vineyards, terroir, and its effects on the overall taste and style of wines, and much more. This session will also include a flight of 10 wines whose style reflects the subjects covered in this informative class. This session of Instituto aims at covering the regions surrounding Europe’s Alpine region. This region is less well known than the likes of Burgundy and Bordeaux but is beginning to make waves with its delicate yet complex whites that can stand the test of time. Stuckey will focus on the growing regions of Savoie, Jura, Vallee D’Aosta, Switzerland, and Valtellina while taking participants through a flight of wines that are superb representations of these regions. Often times, when we think of Australia, we think of a big, bold Shiraz with a high alcohol content. However, those tides are shifting and Australian wine makers have set their sites on lighter bodied New World wines. Join Stuckey as he covers Australia’s wine making history, delves into its interesting terroir, and takes guests through a flight of 10 wines that reflect Australia’s varied terrain. Frasca will host an extraordinary dinner showcasing food and wine from the Friuli-Venezia region. This type of cuisine highlights what Frasca is best known for – traditional, Northern Italian fare. In Italy, Sundays are made for family gatherings; multi-course meals enjoyed in the company of good people and great wines. To get a sampling of Frasca’s origins and future aspirations, reserve your spot for this dinner and enjoy the creations and hospitality of the Sirk Family. In today’s world, it’s easy to forget that Valentine’s Day is more than rich chocolates, roses by the dozen, and heart shaped cards. Frasca will pay homage to this celebration’s origin with a dinner in the name of Saint Valentine – a priest who secretly married soldiers against Rome’s mandated Christian faith. Celebrate love’s enduring power with your special someone in Frasca’s intimate atmosphere. .
Frasca Food & Wine is a place to celebrate with friends, indulge in rich, authentic foods, and learn about superior wines . Consistently gracing the pages of culinary magazines, and earning a place in the hearts of locals, Frasca is much more than a fine-dining restaurant; it’s a fixture in our beloved mountain town. You’re guaranteed to walk away with awesome stories and new friends. 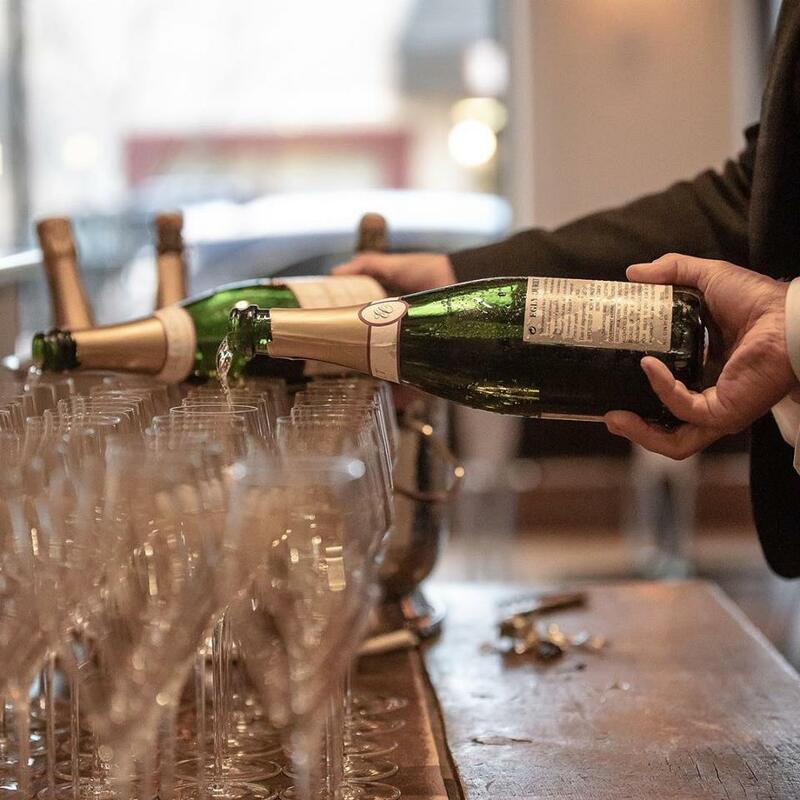 Metadata: Learn about wine regions, wine making, and wine tasting while enjoying Frasca’s renowned Northern-Italian cuisine by reserving your spot for their 2019 food and wine events.